Greg has been extensively involved in activities throughout Canada. During that time, he has been invited to speak at many events around the country. The audiences have ranged in age from young students to senior citizens. On one occasion, he served as Scholar-in-Residence for the day at Confederation College. In some cases, he has been invited to speak at meaningful annual events. 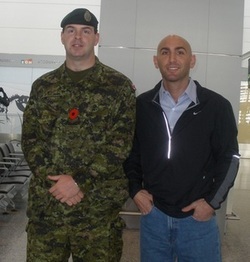 He served as Remembrance Day speaker at York School. Scotiabank sponsored him speaking at an annual event for hundreds of United Way's Canadian supporters. He was the keynote speaker at an annual Humber College event -- where students & others were honoured for making a difference. He participated in the President's Speaker Series at Lakehead University. A year later, during a return to campus, he guest lectured a class & met with the basketball team. In some instances, he has been invited to speak at professional development events for various organizations as well as conferences in different industries in Canada (i.e. keynote speaker at a conference for nurses & keynote speaker at an annual convention for educators). Scroll down for next paragraph. n two occasions, Greg's art has gone on exhibit for the night at an event in Canada. In one of those instances, he received the Portraits in Humanity Award -- given to someone who used the arts to make a difference. His visits to Canada -- and his efforts to make a difference in the community -- have been featured by media like CBC Radio. He also has written for a number of media outlets in Canada - including a guest column for Business Edge. He has written profiles on inspiring Canadians for publications in Canada (i.e. Canadian Jewish News, University of Calgary's alumni magazine, Brock University's alumni magazine). The books based on Greg's story (The Silhouette Man and The First Thirty), the posters based on the story & the Legacy Poem posters have been used internally or externally by many groups in Canada. The list includes Scotiabank, Toronto Blue Jays, Our Kids Count, Herman Miller Canada & programs for teens in places like Montreal & Toronto. 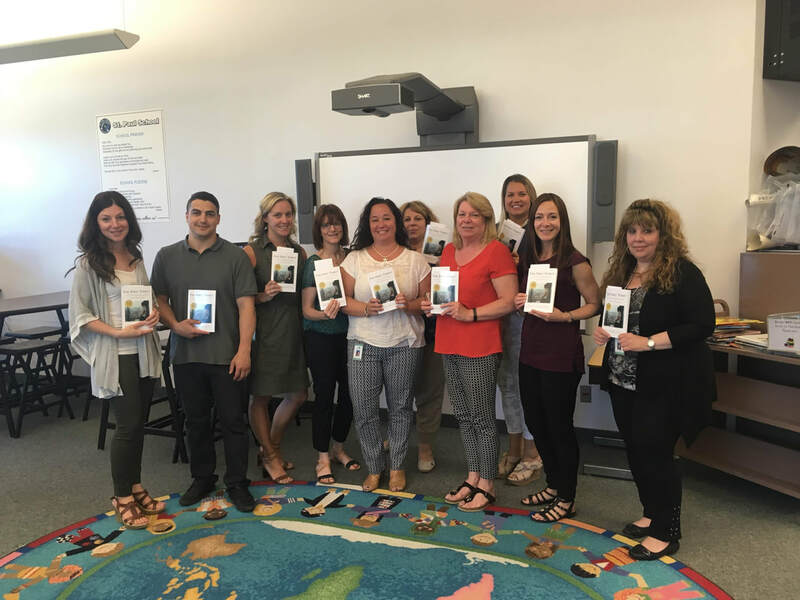 St. Paul School ordered copies of The First Thirty as end-of-year gifts for all of its staff. At an event in Toronto, The Silhouette Man received the Wisdom Speaks Award from Amica Mature Lifestyles - given to a book that celebrates the wisdom of seniors. On a personal level, Greg has had the chance to make some great friends in Canada, celebrate multiple birthdays in Canada and see some memorable sites including Kekabeka Falls, Sleeping Giant, Rogers Centre and Mount Royal.